Lauren Reale, Au.D., CCC-A has joined the Bacharach Institute for Rehabilitation team as the new clinical/pediatric audiologist. In her new role, Dr. Reale will be evaluating, diagnosing and treating tinnitus and hearing loss in patients in every stage of life. Additionally, she will be performing real-ear verification of fittings, working with schools to monitor student hearing aid and FM system performance and dispensing hearing aids, tinnitus sound generators and assistive listening devices. five years, she was a clinical audiologist at the Veterans Affairs Medical Center in Philadelphia. In addition to evaluating, diagnosing and treating veterans with hearing loss and tinnitus, Dr. Reale counseled veterans and their families on hearing loss, dispensed listening devices and verified fittings using speech-mapping. 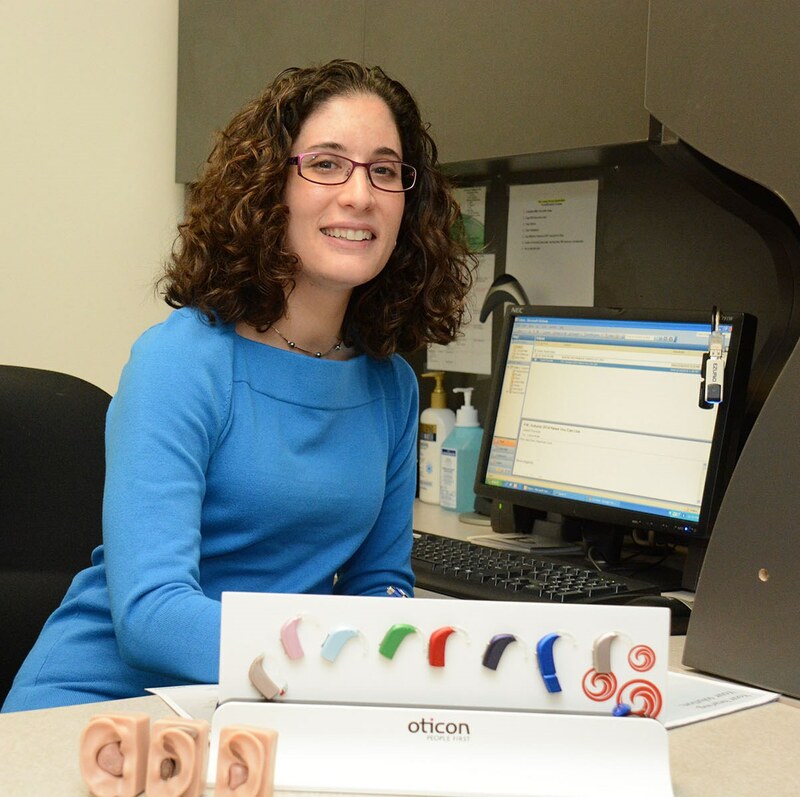 At Valley ENT in Forty Fort, Pennsylvania, Dr. Reale not only administered and interpreted a wide range of auditory testing, she also assisted in creating a new audiology department. Constantly striving to provide the best care, Dr. Reale organized open houses and seminars with hearing aid manufacturers to educate patients on the newest hearing technologies available. Feeling a deep connection to her alma mater Bloomsburg University, Dr. Reale served as the school’s audiology clinical supervisor. She supervised the audiology graduate students, as well as evaluated their clinical performance. At two local hospitals, Dr. Reale performed newborn hearing screenings and helped people get set up with their new hearing aids. Starting in 1997 and graduating in 2006, Dr. Reale received all of her education from Bloomsburg University, including a Bachelor of Science in Speech Pathology and Audiology, Minor in Education of the Deaf and Hard of Hearing, Master of Science in Audiology and Doctor of Audiology. Other accreditations include a certificate of clinical competency in audiology from the American-Speech-Hearing-Language Association and member of the American Academy of Audiology.